After finishing the Oregon Outback Scenic Byway, I headed off for a days drive to, #2 of 300 of my quest, to Pyramid Lake Scenic Byway. 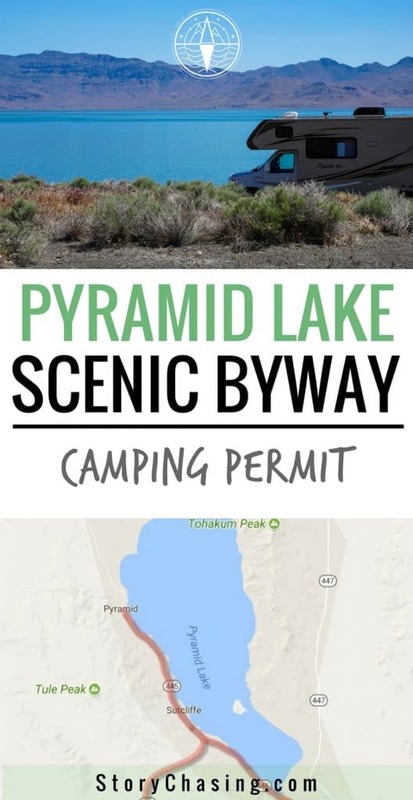 I also needed to figure out, before it got dark, where I was going to camp and I had read you would need a Pyramid Lake camping permit unless you stayed at the local RV park. 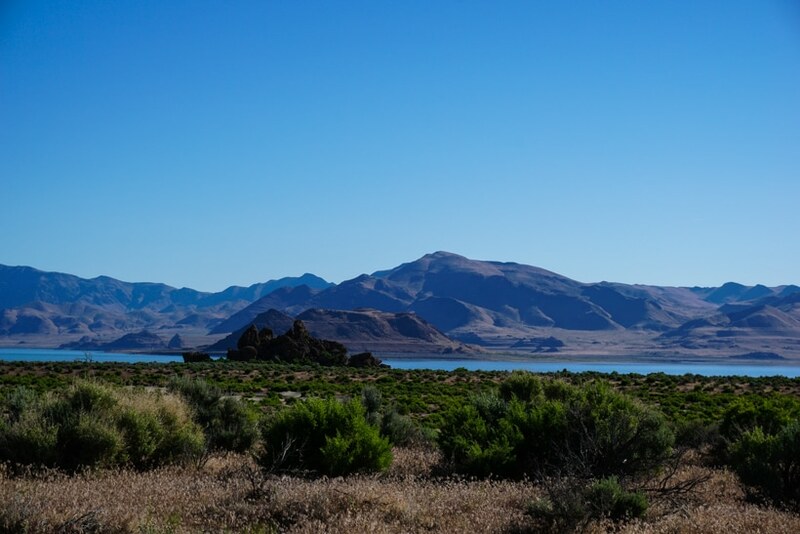 Though I could have completed the drive from the California border to Pyramid Lake, just North of Reno, Nevada, I typically opt to drive shorter distances to keep my energy up and be able to stop and enjoy the surroundings. Driving shorter distances also allows me to work my day job, produce videos along my travels, and stay within my budget. One of the areas I'm still learning is to not plan so much on where to stay too far in advance and finding spots to dry camp or boondock in the same day. My apps and Google Maps, in satellite view, help me to accomplish the task. The first day was filled with traveling through remote areas of brush and high-desert landscape along 395, going south, in California. Originally I was planning to stay at a rest area just at the top of the mountain before dropping down to Honey Lake. A bright idea would have been to look at the rest area via Google Maps, satellite view, before deciding to stop there. The rest area was very tiny and not a place for overnighting for sure. So, something I learned on this trip – look at Google Maps satellite view to scope out the area first. Being that you must be flexible with full-time RV travel, I came across a huge pullout on the side of the highway that was on BLM land. BLM stands for Bureau of Land Management and is public land that is available for us to visit and overnight. 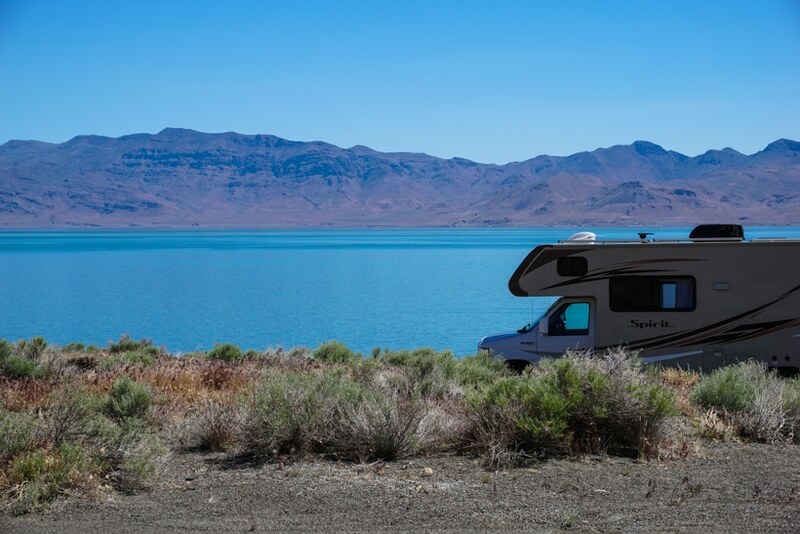 You just have to scout out a place for your RV that's accessible. 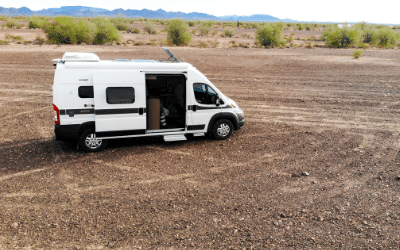 This would be my first time RV boondocking on BLM land and by myself. 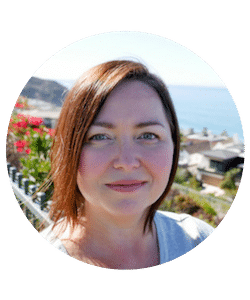 I'm not gonna lie – I was nervous and reached out to my network of solo women RVers. I admit – I snort laughed over that comment! So I decided to stay until out of the corner of my eye I saw a hitch hiker coming up the mountain from the freeway. He hung around for hours and didn't appear to want to hitch a ride anywhere so my gut told me to move on and find another spot. This led me the rest area at Honey Lake, just as 395 curves west and then back down south, which turned out to be fabulous. Super clean facilities, views of the lake, and plenty of places to walk Lily. The signs stated 8 hours max for overnighting so I stayed and would leave in the morning to Pyramid Lake, Nevada. Being flexible when traveling is key and another reason why I try to keep my miles to a certain limit each day in case I need to scout around or change my plans and drive further. Also making sure I have plenty of gas in case I need to keep on moving. 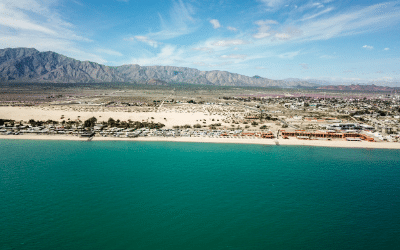 The rugged beauty of this area is breathtaking with it's high-desert landscape of brush, rocks, and then there's the lake with it's tufa rocks dotted throughout the beaches and pyramid shapes in the lake. Pyramid Lake is blue and green and the sun glistened off of the water. When you drop down into the lake from the highway you're viewing this landscape of colors that is picturesque. 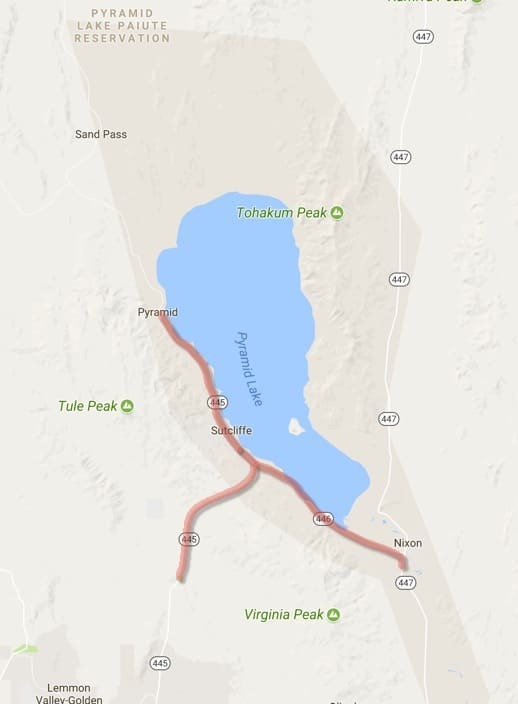 The actual Pyramid Lake Scenic Byway starts on 445 North, just north of Reno, Nevada, then travels northwest on 445 and then back southeast on 446 to 447. 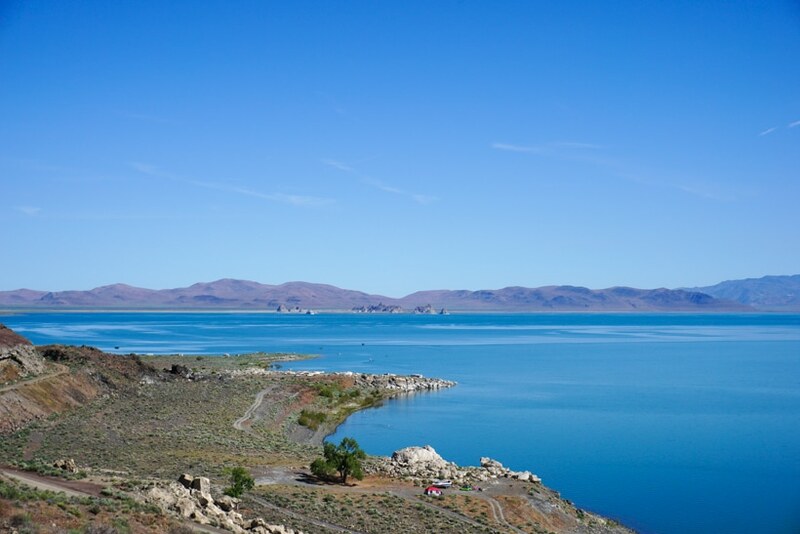 So it covers the southwest expanse of Pyramid Lake for 34 miles. Pyramid Lake is on the Pyramid Lake Indian Reservation governed by the Paiute tribe and they have created numerous pullouts along the way to gaze in wonder, take pictures, and even picnic along the way. 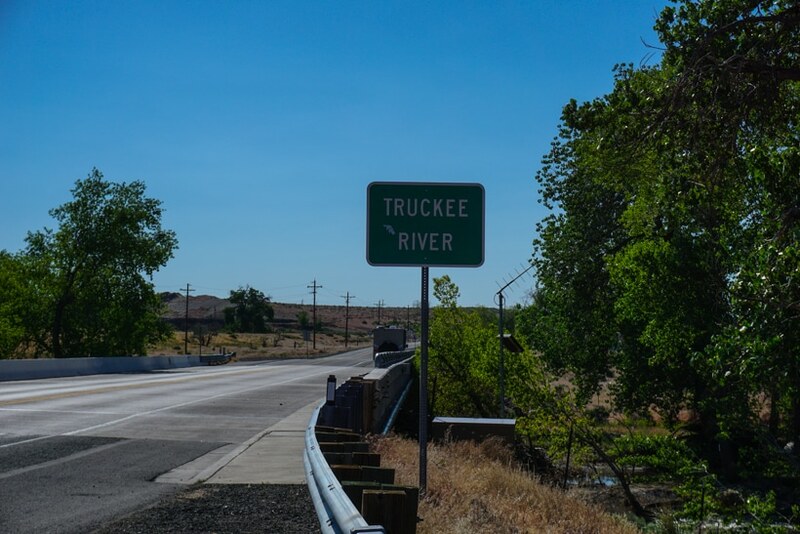 You'll also be able to explore this areas rich history with historical markers throughout and the Pyramid Lake Paiute Tribe Museum just on the Southeast side of the Pyramid Lake Scenic Byway just before it ends. 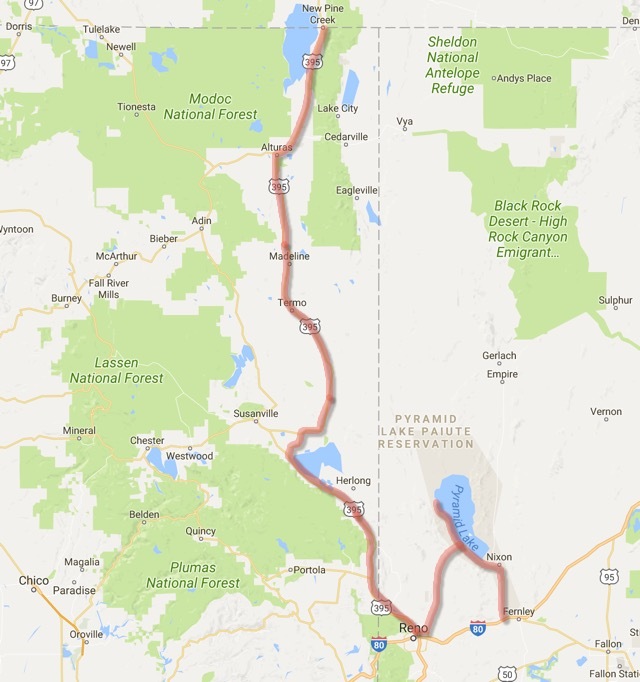 I was actually going to continue on that day to Lake Tahoe, but instead decided to stay after seeing all the great spots to boondock, either on the beach or along the small bluffs. After scouting out my spot, I headed to the marina area to buy my one night Pyramid Lake camping permit. Rangers do check so make sure you have paid the required fee so head to the marina to pick up the Pyramid Lake camping permit. Anybody at the store or even bar can sell you the permit. The Pyramid Lake camping permit was only $16 for a spot – no hookups and no dumping – that's considered a primitive spot when it has no amenities. There was an RV park if you need hookups, but with my solar, I didn't need electricity and I was full with fresh water. The park rangers do come around so you need to make sure you have the Pyramid Lake camping permit in your front dashboard windows area. I felt like a giddy kid as I settled into my site and looked out over the lake. I'm still in awe over the fact that this is my life. It's truly incredible and I'm living my dream of full-time RVing around the country. My smile is bigger and I feel so much more relaxed these days. My site overlooks the lake and is a short walk to the beach and tufa rocks. I decided on a spot just above the beach area and away from the other RVers directly on the beach. Being on the beach seemed advantageous, but I was concerned about getting stuck in the soft sand and truly wanted to be more secluded. 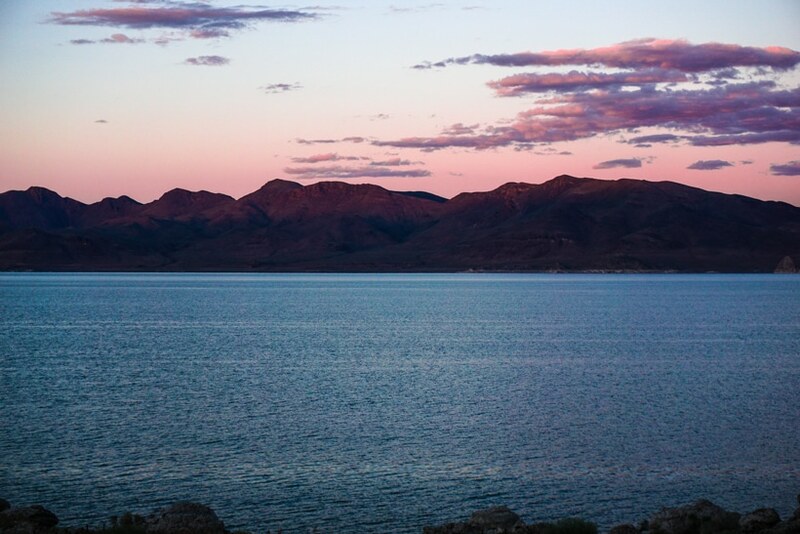 So if you want to be around more people or have some alone time – you can do both out here at Pyramid Lake. As I started to fall asleep – I looked outside to see the moon shining on the lake, the stars shining bright in the vast black sky – and then noticed how quiet it was. I could hear the sound of the water lapping against the rocks, a couple of squawks from the plethora of birds, and then just quiet nothing. 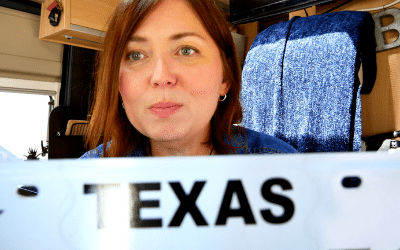 Life in an RV is quite amazing, but as I'm learning to navigate around and learn more about my RV, there's bound to be missteps. Well, I had one of those missteps on the way out from my boondocking site. The road to the site is a gravel, dirt road and mostly smooth, but there was a small hole in the ground as I was leaving. I guess I caught it just right, because all of a sudden the back end of the RV bottomed out even with me going super slow. When I went out to inspect, I didn't see any damage so I kept on going. However, later in the day when I traveled to South Lake Tahoe and went to dump the tanks I had a surprise. When I pulled the hoses out of the sewer hose storage – mounted at the bottom of the RV – there was dirt coming out. Why was dirt coming out of my hoses? Gasp! After further inspection, I had crushed the right side of the storage tube when I bottomed out. Well that's just swell. My first accident. Thankfully the left side, where you open the storage, was intact and it had only damaged my spare hose. This will be an easy fix at some point in time, but for now it's all secure still and just crushed. The Truckee River flows into Pyramid Lake which I was able to see as I left Pyramid Lake out the Southeast side towards Nixon, Nevada. 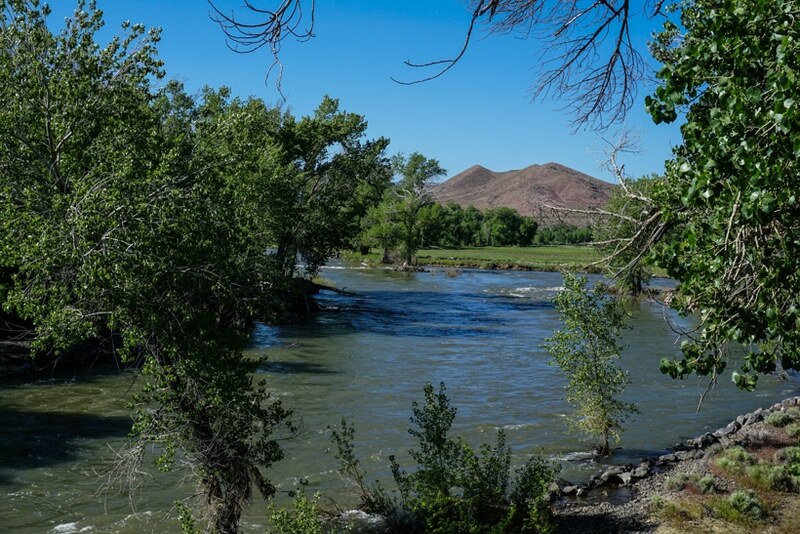 It's this beautiful site of flowing water, trees feeding off of its water, grassy areas surrounding its riverbanks, and rocks pushing the flow of water forward. To be there in its presence and see its awesome beauty and its primitive expanse was incredible. As I look out over the water and lands, I keep imagining these areas as people saw them for the first time – gazing at its beauty, drinking water from its flow, and deciding to build a home nearby or just stop for the day on their way to some other far off adventure. I may travel by a motorhome now, but I consider myself no different than those before me, seeking adventure, beauty, memories and stories as they traveled these lands and met other adventure seekers like them. 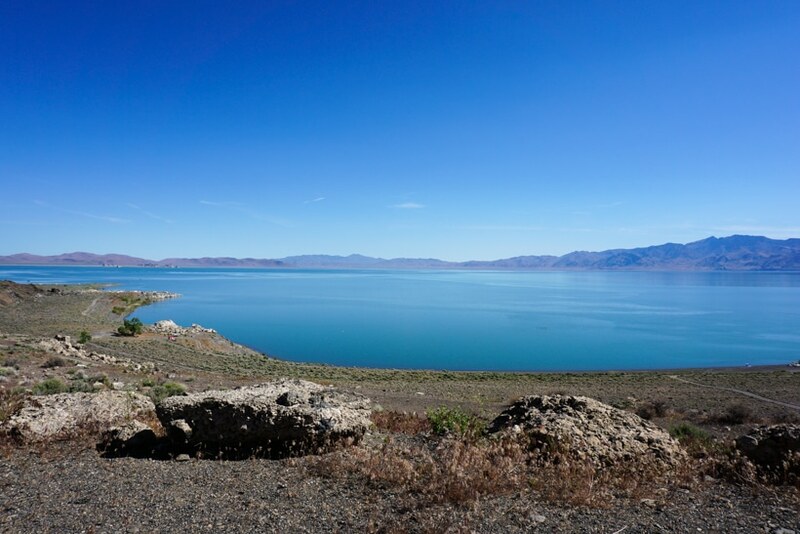 Have you traveled the Pyramid Lake Scenic Byway? 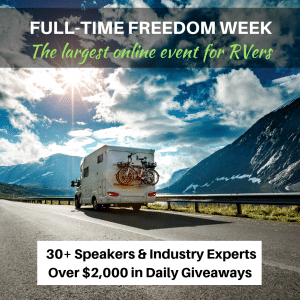 Do you have a travel quest or are your full-time RVing? I'd love to hear from you so leave me a comment below and subscribe to my YouTube channel so you'll be notified when new videos come out. RV Accessibility: Great for all sizes as there are boondocking spots on the beach, cliff areas, and RV parks. Amber Just watched this video. I am so overwhelmed by the beauty and the descriptions by you as you travel along.. The history that you include is valuable to all. I could actually visualize myself traveling with you. Thank you for sharing. I happened upon your YouTube channel for WFPB which I loved! Need the motivation to make healthier choices. I hope you keep posting about your WFPB life, as well on your Story Chasing blog. My hubby and I enjoy our RV so I was thrilled that you are following your full-time RVing Dream. We are spending a lot of time traveling to visit our elderly mothers so we’re not enjoying fun traveling as much right now so I am living vicariously through you! Thanks for letting us enjoy your adventures w/you. Lisa from IN. Hi Lisa! 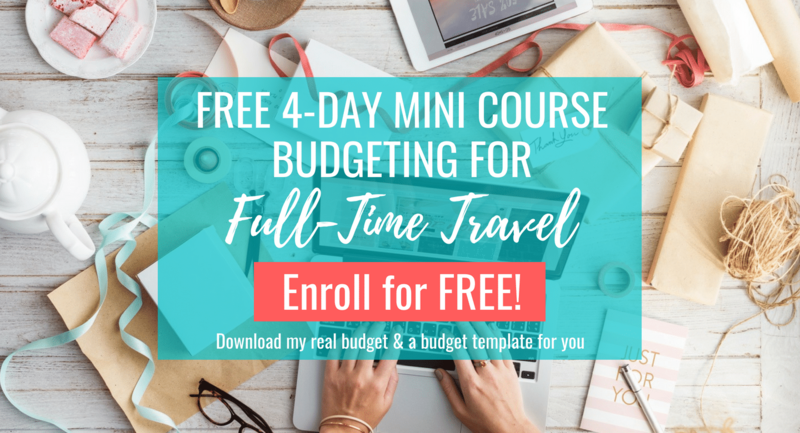 So glad you’re enjoying the blog and the WFPB blog and channel as well. I’m behind, but have not given up on it. I should have more content coming soon and so glad you “nudged” me. It’s always great to see that people are interested and find value. Can’t wait to see and read more! So glad you’re enjoying my travels. Have you subscribed to my Youtube channel as well? Yeah!! Thank you for those subs Lisa!